The prices are still close to the top of the market, but they are well below TurboTax’s prices, and are actually cheaper this year than they were last year. 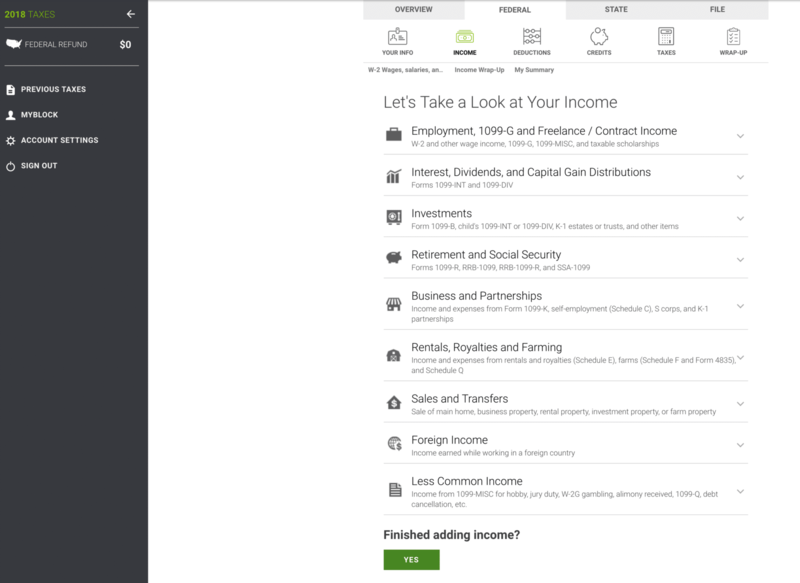 However, H&R Block really sets itself apart this year with its Free Online Tax Filing (formerly More Zero) free filing option - offering a lot more value compared to other competitors - and making it the best free filing option we've seen. As a quick note - Amazon is offering a great deal on H&R Block, as well as a 5% refund bonus if you get an Amazon giftcard. Check out the H&R Block deal on Amazon here. Best option for free filing due to inclusion of EITC and more! 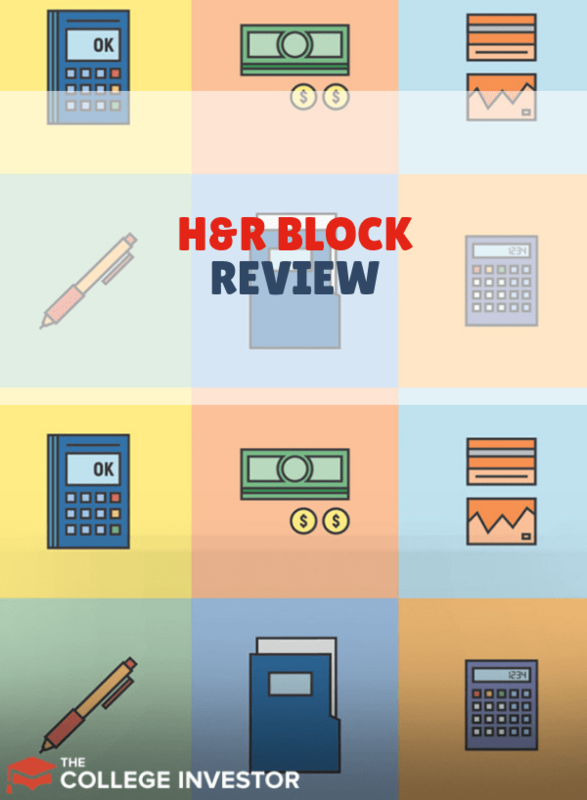 Check out our video review of H&R Block this year. Note: Tax Pro Review isn't live yet, so stay tuned. The bottom line is, if you qualify for free pricing, H&R Block is your best choice. And for those that don't, H&R Block is on par or better than most of the competition. Try H&R Block 2018 and let us know what you think! H&R Block is the best tax software for people who qualify for free file. Nice review. However, I just made it part of the way through the free file until the site told me I needed to pay $29.99 because of an HSA. That’s a bummer. From my understanding, if you only contributed to an HSA via your employer (i.e. reported on your W2), then the free version works. If you contributed outside your W2, or made withdrawals, then the free version won’t work. In that case, consider Credit Karma Tax. Even when you contribute through your employer and the HSA dollars are contributed from your paycheck, it IS NOT FREE. Been there, done that… today. Credit Karma tax is the only site I have found that doesn’t slam you with a fee for the free version when you have a HSA. I don’t think the chat function is available with the free version. I’m trying to figure out how to print before filing. You can’t print before filing… otherwise people would cheat, print and mail their returns, and avoid paying H&R Block if required. Does the free offer multiple states and amended returns? No and no. If you need to do multiple states and amended returns, you might consider working with a tax professional, as that can get complicated. Does H&R Block free go back to 2008? No, and if you’re trying to file taxes that far back, speak to a tax professional. Did you call H&R Block? How can we help you? We’re just a blog/review site. Turbo Tax wanted to charge me $40 for Schedule 5. Is that included in H&R Block’s free version for 2018? No, you’ll likely pay at every company for that. What did you have? That’s not a common form – did you have estimated taxes applied from 2017 or some other type of credit? In using H&R Block Deluxe (Fed + State) tax software (Mac+PC CD Disc Version)) for e-filing 2018 Fed +NYS Taxes, I note that NYS Law now mandates free NYS Tax e-filing when e-filing Fed + NYS Tax and prohibits any extra charges when you purchase the software. Does this mean the cost for NYS e-filing is included with the H&R Block Deluxe “Fed + State” software(CD) purchase? I purchased this H&R Block Deluxe software CD today on sale (“Deal of the Day”) from Amazon for $18-seems almost too good to be true if thats the total cost for Fed +(NY) State e-filing. That’s a great deal – but we’re not aware of it so we couldn’t tell you what’s included. I filed my taxes Jan 24, 2019 and haven’t received refund yet is there a problem . I checked on my refund status and it keeps saying info does not match. Are you sure it was accepted? Just because you filed doesn’t even mean that H&R Block has transmitted it to the IRS yet. Depending on your forms, they may still be waiting on the IRS to finish programming everything. What did you have on your return? Anything business, real estate or trust? 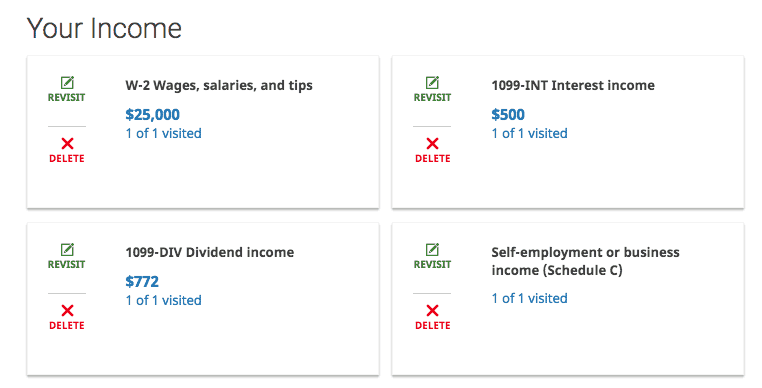 Yes, having a 1099-MISC means you’re self employed. Check out our guide to the best tax software and look at the side hustler section. H&R Block is good, but pricier than other options. Does the free version allow one to have 1099 income? I used Turbo Tax, noted up front had W-2 and 1099 income, entered all the W-2 info, and then went to enter the 1099 income and was told I had to upgrade to pay version. No, the free version is eFile only. Does your software support K-1 report codes on line 20? Yes, H&R Block supports K-1s. Does the free version apply for capital loss from a previous year? The capital loss carryover will make you upgrade. I have some 1099-Bs to file. Which version is the least expensive which includes the ability to file this type if information which also includes a Schedule D and a Form 8949? Since you’re an investor, you’re going to need the Premium edition to file. What does it mean when it says, your taxes have been accepted and are now complete? Just like it sounds! The IRS accepted your tax return and it’s in process. You’re done – just waiting for your refund and/or payment to be debited. Hi. I’m doing my college son’s taxes and input all his info into both Taxact and Turbo Intuit, only to be told it’s $30-40 to upgrade just for schedule 1. He has a whopping $100 in 1099-DIV and his taxes only to need to be done to get back the federal taxes he shouldn’t have paid from his minimal income. Do you know if H&RB also does not support sch 1 on their free version, and if not, do you know who does? I’m surprised how hard it is to find out this information. I’d really appreciate your input asap. Thank you so much in advance! 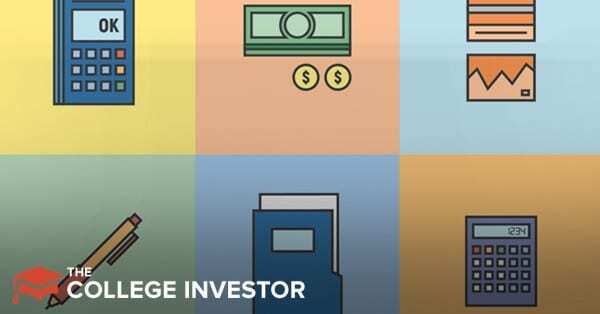 The 1099-DIV is considered investing, so you’ll need to upgrade to that here as well. Check out our guide to free tax software to see your other options. I will need to file in two states this year. My return should be fairly simple, but I am trying to figure out the best way to file. Through H&R Block Free Online, seems like I would have to pay $59.98 to file for two states ($29.99 per state)? I also started contributing to an HSA in October, so I believe I would have an extra fee for this… trying to figure out the best option for me. 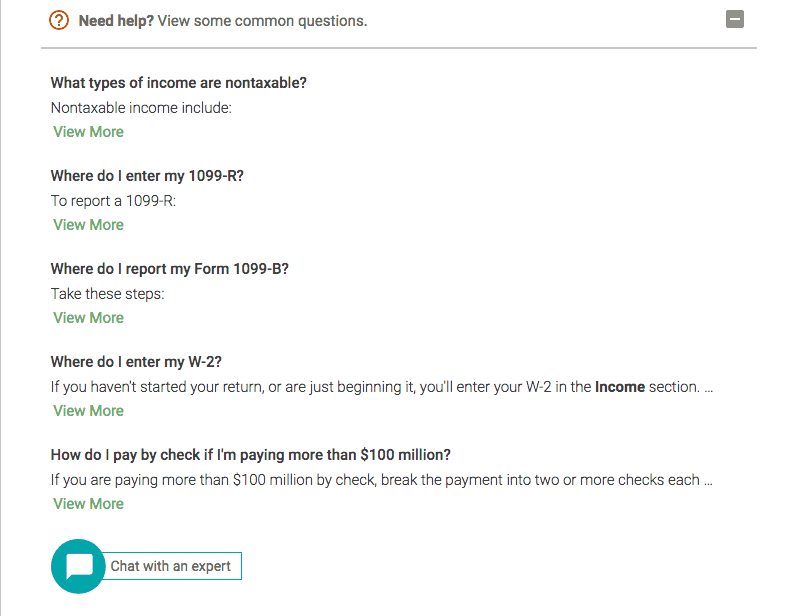 I’ve been hearing that H&R Block should be cheaper than TurboTax, but I’m not sure if that’s the case, and I’m definitely looking for a user-friendly interface. Thanks! You’re going to be paying no matter what with two states and that HSA. H&R Block and TurboTax are the easiest to use, H&R Block is slightly cheaper, and both will make you be Deluxe with that HSA contribution plus the state filing fees. No free software handles multiple states. You might look into FreeTaxUSA but it’s definitely a bit harder to use than H&R Block.